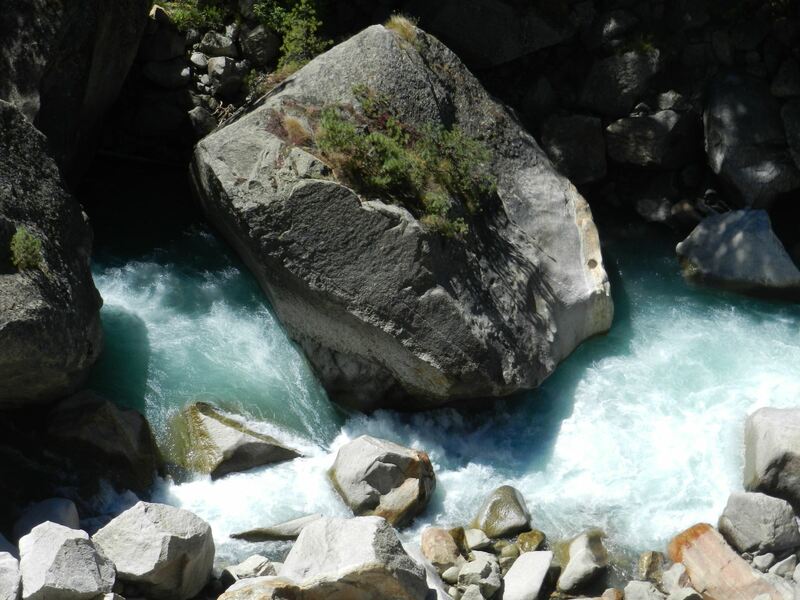 “Chitkul – the name itself sounds like the twitter of birds”. 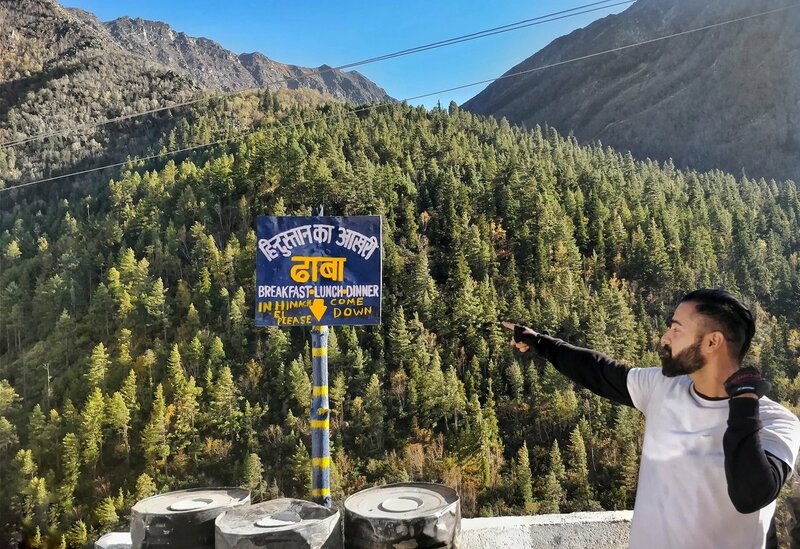 Located in the Kinnaur district of Himachal Pradesh, where the Indian roads come to an end and is the last inhabited village close to the Indo-Tibet border. Surrounded by tall deodar trees, this village is mostly covered with snow during. The village is filled with small huts and houses made of wooden planks and number of Buddhist temples located in and around the village. This place can be best explored during the month of June. 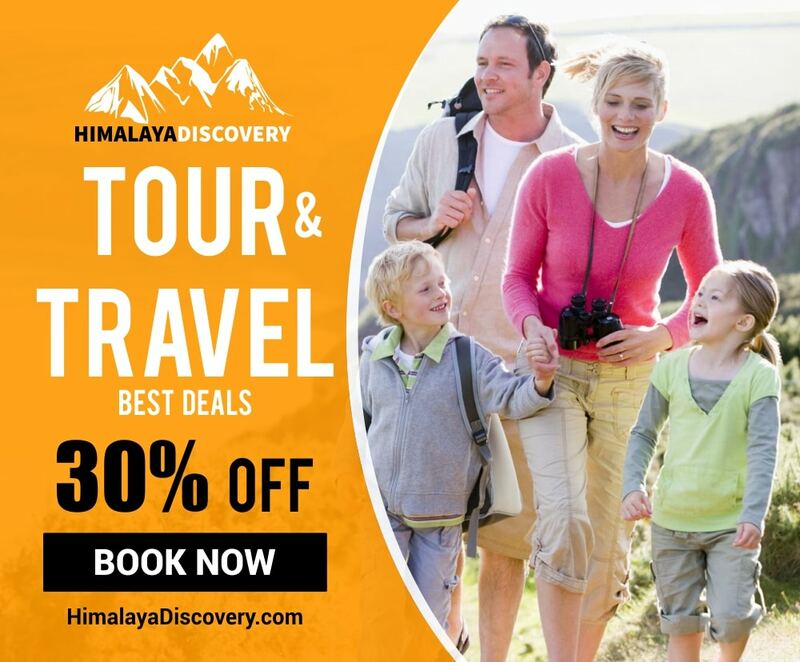 Tourists go for trekking the hilly areas near a place called. 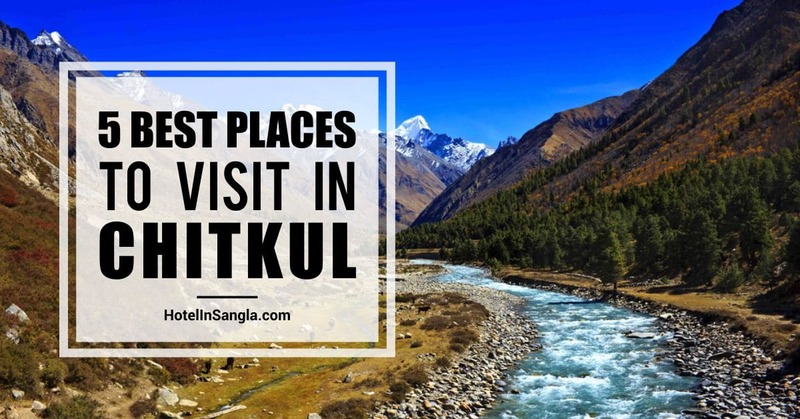 Chitkul is surrounded by fields of wild yellow plants and lush vegetation that provide the most refreshing experience to tourists who look or an escape from their busy lives. The culture of Chitkul is fascinating and captivating. Come and be mesmerized by the intoxicating culture of Chitkul. Situated on the banks of Baspa river in the Baspa valley lies the last dhaba of India near the Indo-Tibetian border in the Chitkul valley. It is located at a height of 3500 m and it serves delicious local cuisine and snacks for the hungry travelers. There is a huge sign board put up near the Dhaba describing it as the last dhaba of India. The sign board says ‘Hindustan ka Akhiri Dhaba’, The food is tasty and the people are very friendly. Do visit this Dhaba when you are in Chitkul. One of the most scenic beauties of Himalayas is the Baspa Valley which is also called the Sangla valley. It is a 9 hour drive from Delhi. It experiences moderate climate during summers and cool climate during the winters. One of the most picturesque villages in the Himalayas can be found here. Rafting the Baspa River is a popular activity. Baspa Valley is loaded with culture, history and nature. The valley is filled with dense oak and pine forests, which is the essence of the natural beauty of the valley. The valley is a good attraction for trekkers and campers. Tourists can enjoy crossing the river in a basket, which is a unique kind of ride here. April to October is regarded as the best time to visit Baspa River because the climate is mild and soothing. As compared to other rivers the Baspa is fairly turbulent and frequently changes its course. An outland ship fish species known as brown trout (salmo fario) is found in this river. 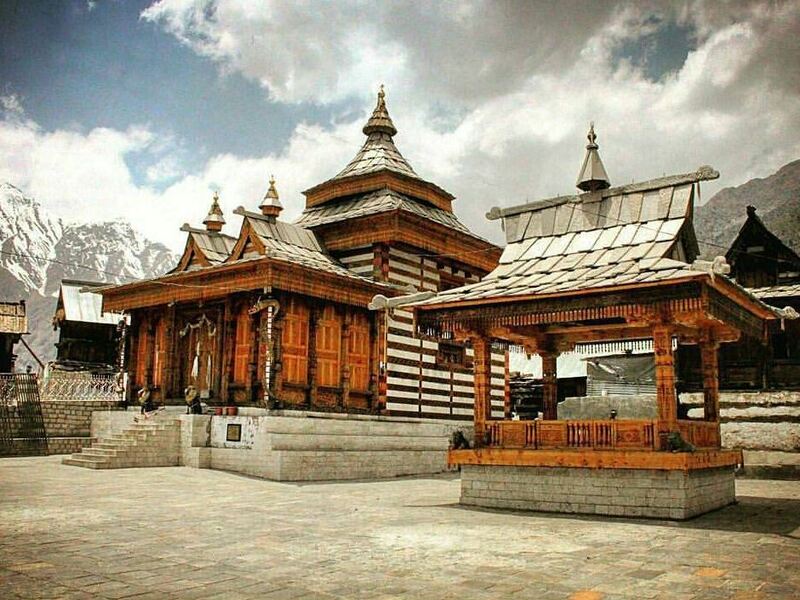 The Mathi Temple is dedicated to goddess Shri Mathi, who is the local goddess of the people of Chitkul. The beautiful temple consists of the goddess made up of walnut wood and covered with clothes and decorated by a tuft of the tail of yak. The temple is said to be about 500 years old. This temple has three shrines, the main one said to have been built by a resident of Garhwal.The goddess is on square ark made up of walnut wood and covered with clothes and decorated by a tuft of the tail of yak.Two poles called bayanga.Then that are inserted and the Goddess is carried out at times. According to a local legend, the Devi undertook a long and arduous journey before settled in Chitkul village. When Mathi Devi finally settled in Chitkul, the village found great prosperity and she continues to be worshipped with great fanfare. Every year lots of people visit this temple. 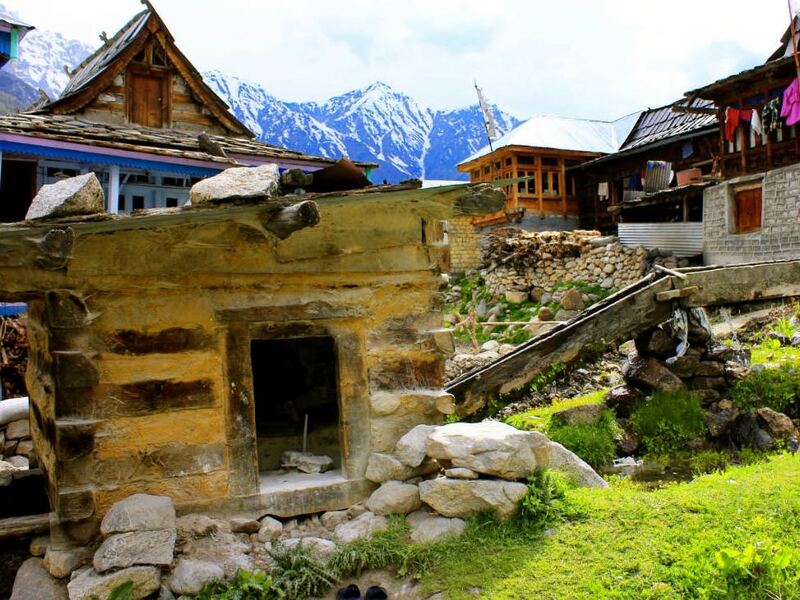 Chitkul is the last inhabited village of India situated at a height of 3500 m, 24 km from Sangla near the Indo-Tibetian border. This village remains unaccessible during the winter and is covered in a blanket of snow all through the winter. 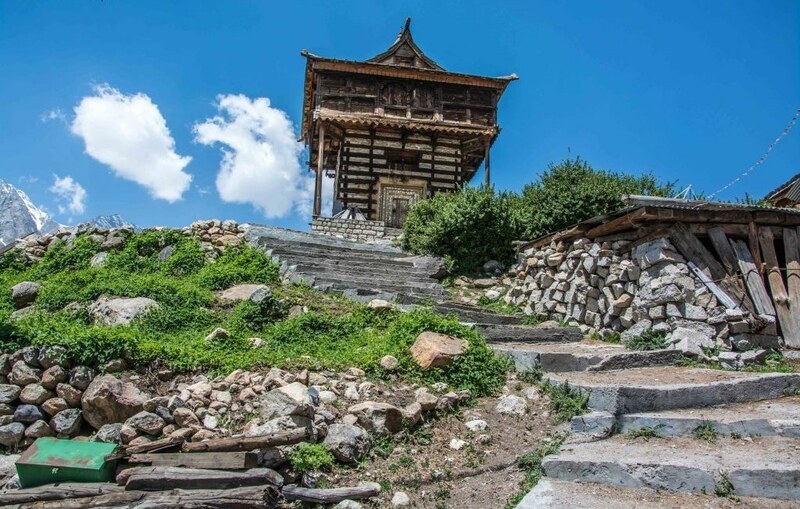 The Chitkul fort looks like a watchtower. Covered in intricate wooden carvings the fort is one of the main attractions of this small village after the Chitkul temple complex. Chitkul might be the last and highest human settlement on the old trade route but it has some pretty interesting places to see. One of them is the Hydro power flour mill which is used by the villagers who are very proud to have it. It has been created in a small settlement and hydro power is used to operate the flour mill.